The European Day of the Righteous is a celebration established in 2012 by the European Parliament to commemorate those who have stood up against crimes against humanity and totalitarism with their own moral responsibility. By this celebration the concept of Righteous as worked out by Yad Vashem is broadened to all genocide cases and forms of totalitarianism thanks to the commitment of Moshe Bejski. The European day of the Righteous is celebrated every year on 6 March, the anniversary of Moshe Bejski’s death. The European Union supported the call made by leading citizens to establish a European Day of Remembrance for the Righteous to commemorate, on 6 March, those who challenged crimes against humanity and totalitarianism with individual responsibility and The President forwarded this declaration, together with the names of the signatories , to the High Representative of the Union for Foreign Affairs and Security Policy, the Commission, the Council and the parliaments of the Member States. The European day of the Righteous was approved by the European Parliament on 10 May 2012 with 388 signatures. Activities related to the Righteous are supported at the international level by Gariwo, the forest of the Righteous, the Garden of the Righteous for the Armenians in Yerevan, the writer, founder of NGO Gariwo Sarajevo and activist for civil courage Svetlana Broz who is struggling to create a Garden of the Righteous in Sarajevo and such figures as the Righteous and witness to the Rwanda genocide Yolande Mukagasana. 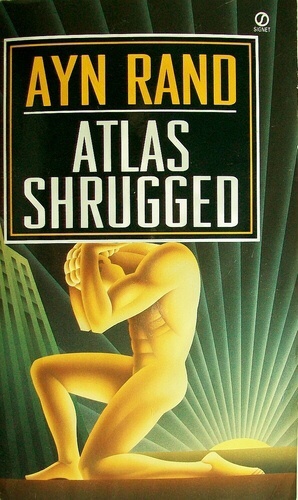 Russian-American novelist, philosopher, playwright, and screenwriter Ayn Rand sadly passed away 6th March 1982 . Born in Russia 2nd February 1905. She is best known for her two best-selling novels, The Fountainhead and Atlas Shrugged, and for developing a philosophical system she called Objectivism. Born and educated in Russia, Rand moved to the United States in 1926. She worked as a screenwriter in Hollywood and had a play produced on Broadway in 1935–1936. After two early novels that were initially less successful, she achieved fame with her 1943 novel The Fountainhead. In 1957, she published her best-known work, the novel Atlas Shrugged. Afterward she turned to nonfiction to promote her philosophy, publishing her own magazines and releasing several collections of essays until her death in 1982. Rand advocated reason as the only means of acquiring knowledge and rejected faith and religion. She supported rational and ethical egoism, and rejected ethical altruism. In politics, she condemned the initiation of force as immoral and opposed collectivism and statism, instead supporting limited government and laissez-faire capitalism, which she believed was the only social system that protected individual rights. She promoted romantic realism in art. She was sharply critical of most philosophers and philosophical traditions known to her, except for some Aristotelians and classical liberals. Rand’s fiction was poorly received by many literary critics, and academia generally ignored or rejected her philosophy. The Objectivist movement attempts to spread her ideas, both to the public and in academic settings. She has been a significant influence among libertarians and American conservatives. Automotive pioneer, Engineer, industrial designer and industrialist Gottlieb Daimler sadly died 6 March 1900. He was born March 17th 1834 in Schorndorf (Kingdom of Württemberg, a federal state of the German Confederation), in what is now Germany. He was a pioneer of internal-combustion engines and automobile development. He invented the high-speed petrol engine and the first four-wheel automobile. Daimler and his lifelong business partner Wilhelm Maybach were two inventors whose goal was to create small, high-speed engines to be mounted in any kind of locomotion development. in 1890, they founded Daimler Motoren Gesellschaft (DMG, in English—Daimler Motors Corporation). They sold their first automobile in 1892. However Daimler fell ill and took a break from the business. Upon his return he experienced difficulty with the other stockholders and resigned in 1893. He returned in 1894. Maybach resigned at the same time, and also returned. However Following Daimler’s death a few years later in 1900 and the final departure of Wilhelm Maybach in 1907 the DMG management signed a long term co-operation agreement with Karl Benz’s Benz & Cie. and in 1926 the two companies merged to become Daimler-Benz AG, which is now part of Daimler AG. Author Louisa May Alcott sadly passed away on March 6, 1888 at the age of 55 in Boston, Massachusetts. Born November 29, 1832, She is best known as the author of the novel Little Women and its sequels Little Men and Jo’s Boys.Raised by her transcendentalist parents, Abigail May Alcott and Amos Bronson Alcott in New England she grew up among many of the well-known intellectuals of the day such as Ralph Waldo Emerson, Nathaniel Hawthorne, and Henry David Thoreau. Nevertheless, her family suffered severe financial difficulties and Alcott worked to help support the family from an early age. She began to receive critical success for her writing in the 1860′s. Early in her career, she sometimes used the pen name A. M. Barnard. Published in 1868, Little Women is set in the Alcott family home, Orchard House, in Concord, Massachusetts and is loosely based on Alcott’s childhood experiences with her three sisters. The novel was very well received and is still a popular children’s novel today. Alcott was an abolitionist and a feminist.The novel follows the lives of four sisters – Meg, Jo, Beth, and Amy March – and is loosely based on the author’s childhood experiences with her three sisters. 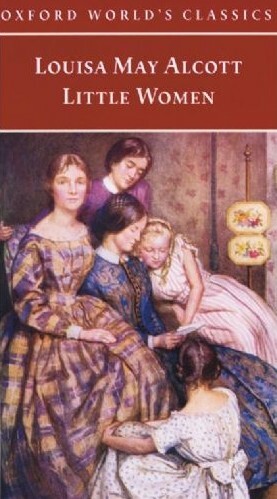 The first volume, Little Women, was an immediate commercial and critical success, prompting the composition of the book’s second volume, entitled Good Wives, which was also successful. Both books were first published as a single volume entitled Little Women in 1880. Alcott followed Little Women with two sequels, also featuring the March sisters: Little Men and Jo’s Boys. Little Women was a fiction novel for girls that veered from the normal writings for children, especially girls, at the time. Little Women has three major themes:”domesticity, work, and true love. Little Women has a timeless resonance which reflects Alcott’s grasp of her historical framework in the 1860s. The novel’s ideas do not intrude themselves upon the reader because the author is wholly in control of the implications of her imaginative structure. Sexual equality is the salvation of marriage and the family; democratic relationships make happy endings. This is the unifying imaginative frame. Never married, Alcott continued to write until her death, but suffered chronic health problems in her later years, including vertigo. She attributed her illness and death to mercury poisoning. During her American Civil War service, Alcott contracted typhoid fever and was treated with a compound containing mercury.Recent analysis of Alcott’s illness, however, suggests that her chronic health problems may have been associated with an autoimmune disease, not acute mercury exposure. Moreover, a late portrait of Alcott shows rashes on her cheeks, which is a characteristic of lupus.She died two days after her father’s death and is buried in Sleepy Hollow Cemetery, Concord, Massachusetts. English singer and musician with the alternative rock band Elbow, Guy Garvey was born 6 March 1974, in Bury, Greater Manchester, England. He is also a presenter for BBC 6 Music. Garvey formed Elbow with Mark and Craig Potter, Pete Turner, and Richard Jupp. In the early 90’s whilst at 6th form college in Bury. He serves as the main songwriter and lyricist of Elbow, Garvey has also played a wide variety of instruments live including both electric and acoustic guitar, trumpet, and various forms of percussion. Elbow won two Ivor Novello awards for best song writing for the 2008 single “Grounds for Divorce” as well as best contemporary song for “One Day Like This”.He was awarded a lifetime achievement honour by the Radio Academy in 2014 and also featured on the re-launched Band Aid charity’s single to raise funds for the Ebola crisis in Africa. Garvey, with Elbow, was also commissioned by the BBC to write the theme song for the 2012 London Olympics and Elbow performed this song, “First Steps” at the closing ceremony of the Olympics. Garvey also produced and recorded the I Am Kloot album Natural History (2001). Alongside Elbow keyboard player Craig Potter he also produced I Am Kloot’s single “Maybe I Should”, their Mercury Music Prize nominated 2010 album Sky at Night and their 2013 album Let It All In. Elbow were themselves Mercury Music Prize nominees, in 2011, for the album Build a Rocket Boys! and won the prize in 2008 for their album “The Seldom Seen Kid”. Garvey also appears on Massive Attack’s 2010 album record Heligoland.He is a member of the British Academy of Songwriters, Composers and Authors (BASCA). In April 2012 Garvey became a patron of the Manchester Craft and Design Centre. In recognition of his outstanding contribution to music he received an honorary doctorate from Manchester Metropolitan University, to become a Doctor of Arts. Garvey has been a presenter on BBC 6 Music for over five years (Sunday afternoon 2 pm to 4 pm, British time) and previously presented a show on Sunday evenings on XFM. He had a monthly column in the now-defunct listings magazine City Life and is a patron of the Mines Advisory Group (MAG), the Manchester-based charity responsible for clearing war zones of mines and munitions worldwide.In 2015 Garvey presented Music Box, an iPlayer-exclusive series covering emerging and established bands. Garvey has also read several children’s stories for the CBeebies “Bedtime Stories” program on the BBC.In 2015 Garvey released his first solo album, Courting the Squall, and also appeared on BBC Two’s Later… with Jools Holland, where he performed “Angela’s Eyes” and “Belly of the Whale”. Best known as the Guitarist and vocalist with Progressive Rock Band Pink Floyd, David Gilmour CBE, was born on this day 6th March in 1946. Pink Floyd were founded in 1965 and originally consisted of students Roger Waters, Nick Mason, Richard Wright, and Syd Barrett. They first became popular playing in London’s underground music scene in the late 1960s. Under Barrett’s leadership they released two charting singles, “Arnold Layne” and “See Emily Play”, and a successful début album, The Piper at the Gates of Dawn. In 1968 Syd Barratt departed from the group due to his deteriorating mental health & Gilmour joined Pink Floyd as the fifth member several months prior to this. Following the loss of their principal songwriter, Pink Floyd bassist and vocalist Roger Waters became the band’s lyricist and conceptual leader, with Gilmour assuming lead guitar, taking on most of the band’s music composition, and sharing lead vocals. With this line-up Pink Floyd achieved worldwide critical and commercial success with their progressive and psychedelic rock music, which used philosophical lyrics, sonic experimentation, innovative album art, and elaborate live shows. 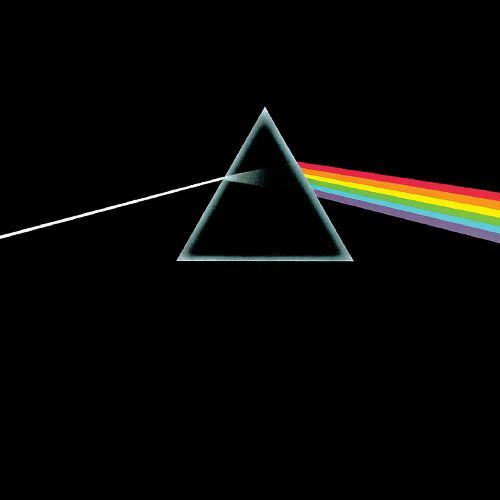 and release of many concept albums such as concept albums such as The Dark Side of the Moon, Wish You Were Here, Animals and The Wall. David Gilmour has also released a few successful solo albums such as “On An Island” which entered the UK Music charts at Number One in 2006. Pink Floyd are ranked at number 51 on Rolling Stone magazine’s list of “The 100 Greatest Artists of All Time”, with David Gilmour ranking 14th in the greatest guitarists list. Largely due to the success of their albums the band was ranked No. 3 in Colin Larkin’s the ‘Top 50 Artists Of All Time’, a ranking based on the cumulative votes for each artist’s albums that appear in the All Time Top 1000 Albums. Numerous artists have been influenced by Pink Floyd’s work: David Bowie has called Syd Barrett a major inspiration, The Edge (U2) also bought his first delay pedal after hearing the opening to Animals; and the Pet Shop Boys paid homage to The Wall during a performance in Boston; Marillion guitarist Steve Rothery has cited Wish You Were Here as a major inspiration; and many other bands, such as the Foo Fighters, Dream Theater, My Chemical Romance, Porcupine Tree, The Mars Volta, The La’s, Queen, Oasis, Iron Maiden, Stone Temple Pilots, Coheed and Cambria, Tool, Queensryche, 30 Seconds to Mars, Scissor Sisters, Rush, Radiohead, Gorillaz, Mudvayne, Nine Inch Nails, Korn, Primus and the Smashing Pumpkins, some of whom have recorded Pink Floyd covers, have been influenced by them. David Gilmour’s latest solo album Rattle that Lock was released in 2015 and Pink Floyd (minus Waters also released the album Endless River in 2014.